Would you finally feel confident enough to put the overwhelm aside and plan your year (for real this time)? You want something different than the traditional public school education for your children and every year, alright, every morning, you’re confronted with the overwhelm of living up to your own expectations. 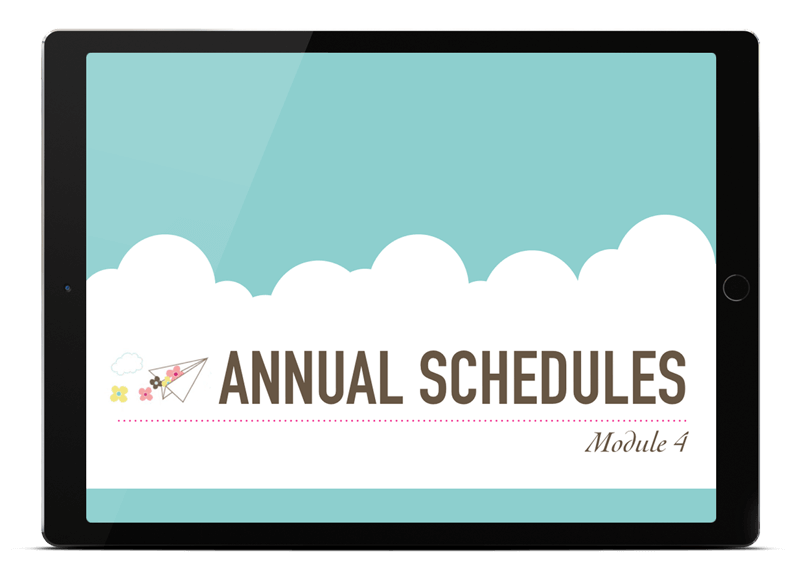 Do you feel like you have a manageable, peaceful, and enjoyable way to plan your homeschool this year? And whether you’ve already started homeschooling or plan to in the near future, the success of your plan and your sanity rests heavily on your answer to that question. Because what follows could easily be that moment you look back on at the end of the school year when your children are thriving and your heart is FULL, that started the whole process in motion. Trying to live up to the Pinterest-perfect version of what homeschool should be even though you know deep down, that will NEVER work for your children. Stretching your already thin homeschool budget ever thinner buying another new curriculum, testing it out only to find yourself constantly tweaking it to make it work but it just never seems quite right. The anxiety of adding a new subject or child into the mix when you are only just hanging on by a thread. The second-guessing, the overwhelm, the burnout, the uncertainty, everything is so. much. harder. then you expected. And it can be tough to bring anything up at the co-op, while everyone is waxing poetic about their favorite takeaways from The Well Trained Mind and you’re quietly wondering if you’re actually cut out for this because your homeschool looks a lot like chaos and feels a lot like failure. With all that anxiety, second-guessing and effort you’ve poured into homeschooling, isn’t it time you actually started to feel some ease, joy and fulfillment? With the amount of time, effort and hours of curriculum review comparisons you’ve invested, you and your children deserve a manageable, peaceful and enjoyable year. You deserve to wake up every morning with a clear vision for the day ahead and actually see something close to that materialize before your eyes like a Christmas miracle. You deserve to feel like the capable teacher and mother you already are, instead of being made to feel like a failure because you don’t fit into a rigid one-size fits all plan that doesn’t honor your family’s strengths and weaknesses areas in need of grace. You want so much more for your kids than you ever had in your own education or what the traditional school system can provide. You jumped in with wells of motivation so deep you thought they’d never run out. …what’s the best homeschool planner? …and oh the shiny things at conventions! What you need: To work a clear step-by-step planning process that helps you filter out all the distractions that used to send you running while building unshakeable confidence in your ability to guide the ship to your desired homeschool destination. Pre-written plans seem like an amazing idea for us homeschooling moms, don’t they? Ahhhh, the freedom of buying one thing and being able to check off the daunting “plan your homeschool” to-do that’s been hanging over your head for weeks. Sure, the plan looks a touch structured. Nowhere in there does it account for your son’s need to run outside and play after every 3rd sentence he writes. Or your toddler’s temper tantrum that comes daily right when it’s time for everyone else to do math. But this year is going to be different. Your children are going to love their routines so much that all those little hiccups from last year (and the year before) are going to be a long forgotten memory. As the school year begins and you put your plan into practice, you start to see a familiar pattern emerge. These kids keep doing what they’ve always done, being who’ve they’ve always been and even with the rough days, you wouldn’t want it any.other.way. That pre-written plan that felt so much like freedom a few short weeks ago is starting to feel anything but. What you need: The skills and confidence to take what works from pre-written plans and leave what doesn’t serve you or your children. To know how to adapt any curriculum, activity or idea to your children’s strengths and weaknesses to create a truly customized, unique to you, homeschool plan. How do I know what to teach? Where do I even start trying to pick a curriculum? How do I manage multiple grade levels (and toddlers pulling on my pant legs)? What if my child is behind? Google may be your go-to resource for finding the closest Chinese restaurant but it can be your worst enemy when trying to figure out those first delicate steps on your path to homeschool success. Google, and it’s adorably styled cousin Pinterest open up a world of what I like to call, homeschool peer pressure. You start out trying to find answers to your questions and you end up feeling overwhelmed, defeated and less than before you even get started. What you need: Successful homeschool planning doesn’t begin by searching the internet and making a list of all the things you can do. It begins by searching the faces across the breakfast table and making a list of all the things they need. A half-finished lesson plan here. A pile of expensive, never used, guilt-inducing resources over there. Maybe even a few checklists if you were feeling extra on top of things one day. You’ve tried everything to plan your days but can’t seem to stick with something long enough to see it through or see it make a difference. Your children are getting used to frenzied declarations that you’re going to put together a plan so they know what to expect each day only to return to the status quo. But when you try to fit yourself and your children into some overly rigid, pre-fab planning system it all feels forced and it just ends up being the paperweight for fall’s leaf pressing craft project. What you need: A planning system that is so much more than an academic schedule for your curriculum with flexibility baked in to honor the most free-spirited children and homeschooling mamas. Your homeschool is what you decide to make it and planning for your big picture vision and goals, not just checking off lesson boxes, is the way to do it. You want to do this homeschool thing just right. You’ve struggled in the past, but this year is going to be different. Your homeschool planning is going to be perfect. So you get started by buying a fresh, new homeschool planner. You know the kind. It has months of lesson plan grids that start in August and go all the way through next summer. You begin the year feeling compelled to write things in every box. Successful homeschoolers have a plan, and you want to be a successful homeschooler. So you open up your computer and started searching. You read a few blogs and forum posts about what each grade level should be learning, find five great science lapbooks to accompany their curriculum, and search out a hands-on activity on Pinterest for every unit of history. You pull out your credit card and fill your Amazon cart. You find out you’re pregnant and some mornings you can barely move. Then your dad becomes ill and needs to move into the house so you can take care of him. And of course, your children end up hating lapbooks. Your plan becomes a mishmash of crossed-off dates, arrows, and erasures. The further you get behind, the more the dates on the top of the pages taunt you. Not to mention that the plans become virtually useless because you get almost caught up in some subjects but are months behind in others. How could this practice that was supposed to have brought peace become the single largest stress factor in your homeschool? What you need: It’s easy to get stuck in the weeds and focus on color-coding, pretty pages and having the “perfect” plan. And you do need a way to plan your year that’s step-by-step and organized so you feel on top of things. But you also want a planning method that helps you focus on the big picture so that when plans go off the rails you can adjust and keep it all in perspective. If you’ve made it here, you already know that a peaceful and enjoyable homeschool year needs a solid plan. You can do this and do it well. It doesn’t take months of planning, fancy office supplies or a team of homeschool organizational ninjas, but it does take a straightforward, step-by-step process that guides you through both the big picture planning and the day-to-day. A process that honors your family’s unique strengths, limitations and season of life. A process that gets you in touch with all the reasons you were excited to homeschool in the first place. A process that you’ll fondly look back on a few weeks from now when you’re sitting across the table from your children and you realize where there was once frustration, chaos and anxiety wrecking havoc on your confidence, now you can only see the eager faces, excited to begin the day. Hi, I’m Pam Barnhill, and like you I dreamed that my days were going to be cuddles on the couch, drinking hot cocoa, while my children gathered around with rapt attention to the classic book I was reading for the second hour in a row. Every single child would be a self-motivated lover of learning because I was going to do things exactly right. And then I actually got started. It’s not what I imagined at all. 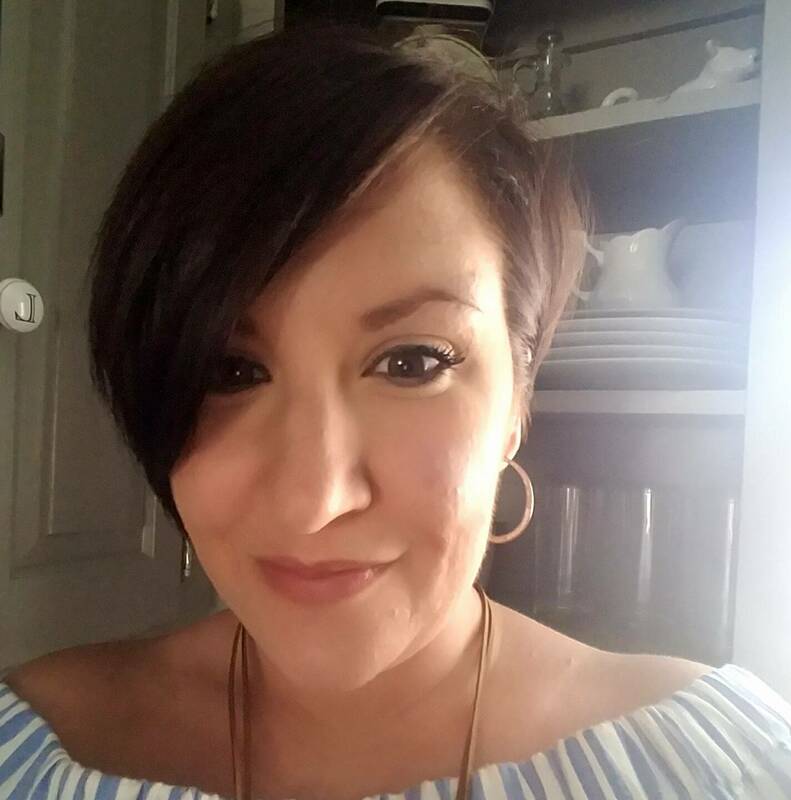 I’m an award-winning educator and homeschool mom of three (mostly) awesome kids. An English major and former journalist, I have a knack for breaking down big tasks into small, manageable steps. I believe that preserving relationships doesn’t have to mean sacrificing a quality education. I believe that all homeschool moms can be their child’s best teacher. 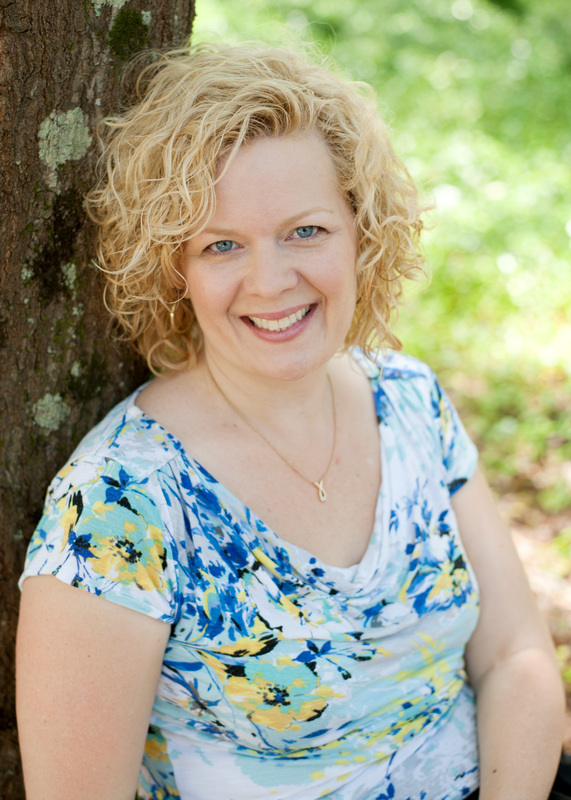 I believe that homeschool moms need mentors and community to thrive. Before Plan Your Year, I struggled to see the big picture and to have a consistent record of goals and progress from year to year. Although I was attracted to the clear process and the plethora of forms, I didn’t expect the clarity and a new way of looking at homeschool planning. I had been homeschooling for a long time (I had graduated my first, who homeschooled K-12) before I used Plan Your Year. As I went through the steps I was both refreshed and excited to learn Pam’s perspective on planning and implement a simple, but thorough planning process. I love to see how we accomplish our goals from year to year, and how there are some that we are still plugging away at. One of the things about Plan Your Year that I love best is seeing where we’ve been in the past so that I can see our progress – seeing the forest for the homeschool trees, in a sense. I love the consistency of planning in the same way from year to year. I refer to my yearly Plan Your Year calendar weekly throughout the school year. I previously used a “school in a box” program and wasn’t sure how to plan when I decided to design my own curriculum. Plan Your Year gave me a starting point and provided me with direction! But I had some reservations, I’ve always been very organized (ESTJ here!) and thought I could make any form myself. Also, I wanted to customize the color scheme to match the rest of my materials. I have better peace of mind creating our own educational plan as a Classical educator with its guidance (as opposed to having everything preplanned and sent to me). Plotting curriculum through the year, staying on track/knowing where to start back up when we did get off has been difficult for us. I was skeptical. Rarely does someone else’s “system” work for me but Plan Your Year is so adaptable to your specific situation. I can’t wait to start planning for next year! I’m not great at follow through. The way Plan Your Year is constructed each step truly does pull you through to the next one. It’s not just an endless list of to-dos for you to trudge through! This year has been hard on our family and our homeschool… knowing I’d set up my plan ahead of time made it so much easier to get back into the swing of things when we could! I have MUCH more confidence going into next year! I’m a second-generation homeschooler, this was year 6 for us, but I’ve never thought I had a great handle on the ins and outs of schooling my kids, it was always a lot of flying by the seat of my pants! I literally can’t wait to get my plans in place and see what next year throws at us! In this module, you will create a statement of intent for your homeschool. Here we aren’t looking at what we want our kids to be in 20 years (as if we had control over that) but instead what we want our homeschools to feel like in the day-to-day. By creating a vision of our days, we can direct our choices and actions in this course and in our homeschools. Discover the number one mistake people make with writing a vision and why it will doom your vision statement to an unused portion of your teacher notebook. Learn how to stop piling on and saying “yes” to things that don’t fit your family. Get confident about what matters most to you (and eliminate second-guessing from your homeschool mom vocabulary). While our vision is the 10,000 ft view of our homeschool, module 2 gets specific about meeting the needs of each child by crafting goals for their school year. 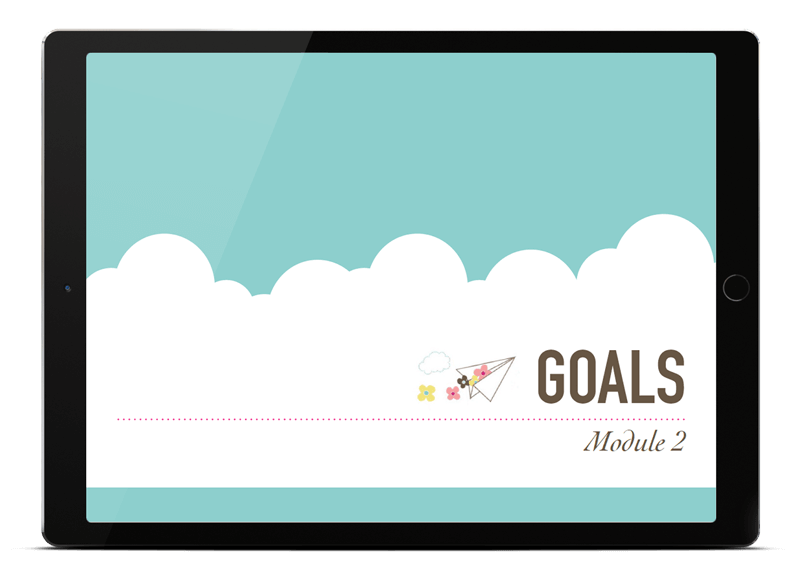 You will learn how to use these goals to easily tailor a plan to meet their educational and developmental needs. Create a custom plan for your child that will honor their strengths and interests. Uncover the secret that will reduce or eliminate wasted money on curriculum hopping. Discover the skills to writing effective goals that help instead of hinder your homeschool progress. Learn why pushing to finish first-grade book in first grade is a mistake that can sabotage your child’s education. After our vision and goals are in place, it’s time for the sometimes daunting, sometimes fun process of choosing curriculum and resources for our school year. This module breaks down the how to do that with confidence. See examples of how your vision translates directly into what goes onto your course of study. Break down the factors that influence your choices and why each one matters (or doesn’t). Learn the difference between the two types of school subjects and why that knowledge is vital to your sanity as a homeschooling mom. Discover the four key questions you need to ask about every resource before pushing the “buy” button. Now that our curriculum is on the way, we get to dive into how we are going to use it. The first stop is to plan out which days of the year we are going to do school. This module is all about embracing our options as homeschoolers. Learn about three different kinds of school schedules and why the one you grew up using might not be the best for your family. Discover how the patterns of your school year can make or break your homeschooling success. Learn my secret sauce for staying on-track with your required number of school days while embracing the flexibility of homeschooling. See video examples of multiple schedule-types and patterns — so you can learn how to create your own with no stress. Flexibility is the keyword as we set up systems that will allow us to thrive within structure. In module five we will set aside time that honors our school day and create a daily rhythm that fosters peace in our homes. 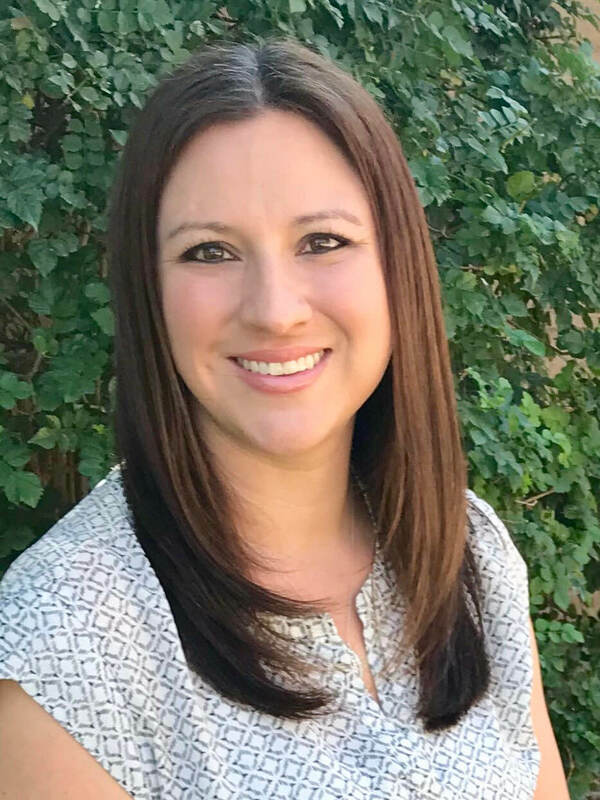 Learn how to detect schedule overwhelm before it hits and strategize to reduce it before you even get your school year started. Discover three different styles of scheduling and which one (or combination of more than one — say what?!!) fits your family the best. See examples of each schedule type to inspire your own choices. Learn my favorite method that insures I am never “behind” in my school year — no matter what life throws my way. Next, Module 6 introduces the first of two different kinds of lists that we will use to create the ultimate in auto-pilot for our school days. The procedure list is the key to creating a plan that eliminates decision fatigue and gets done – even if the toddler is designing the walls with sharpie or stuffing the drains with legos – again. Discover how the procedure list can “save your bacon” and help school get done even when days are hectic. Learn about the three situations where a procedure list is the answer to your homeschooling problems. See the procedure list in action with samples and a step-by-step break down of how to easily create your own. 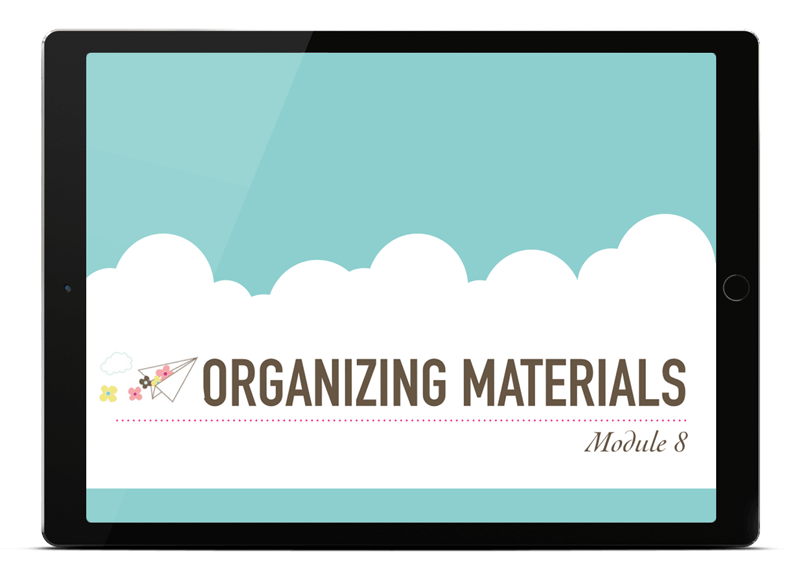 This module is the second of our two kinds of lists vital to auto-pilot success for our homeschools. The lesson plan list is your non-threatening friend who waits patiently when your regularly scheduled school day goes awry. Learn the true requirements behind teacher lesson plans and why you don’t need to make them as a homeschool mom. See how to combine the procedure list with the easy lesson plan list to create a flexible outline for each subject on your course of study. Dig deeper with the detailed lesson plan list — for those subjects that need a little more variety. 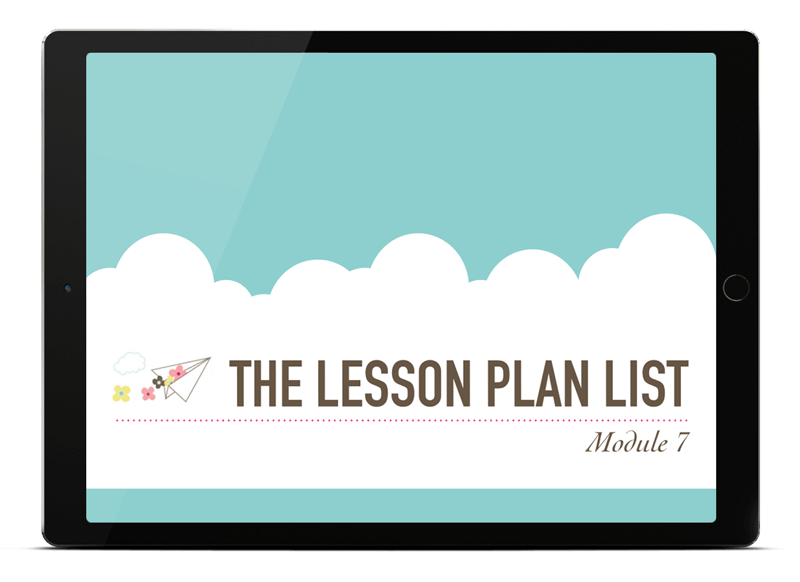 Discover what you should NEVER put on your lesson plan list in order to keep your plans flexible and accessible. Now that our plan is complete it is time to figure out exactly how we are going to put this plan into action. The first step of the process is to organize our materials. Learn how to create assignments on the fly based on your kids’ actual progress without feeling ahead or behind your plan. Communicate effectively with your kids and win buy-in because they know exactly what is expected of them every day — this makes your homeschool life run much more smoothly. And it works! Get tips on staying on top of paper grading and the finished work spilling from binders and drawers. Discover how a technique used by elite athletes to win medals can help a homeschool mom have a better homeschool plan. Learn how to embrace natural rhythms and how to avoid the number one mistake homeschool moms make when implementing their annual schedules. Find tips for juggling multiple kids in your school day — including how changing your thinking about one homeschool no-no can create calm in your day. Auto-pilot must have regular maintenance in order to continue to function. That is where this final module comes in. Here we will discuss when and how to make sure our plan continues to work. Learn the one thing you do need to put on your calendar (finally!) to make sure your plan will continue to work. Find a handy checklist that will walk you through how to evaluate if your plan is working. Discover the one thing you should never do until a review day — it will save you a ton of lost time and money. Get a handy reminder of one tool homeschool moms always forget (even me!) that can make your life easier in the long run. Wondering which option is right for you? Lifetime access to 10 module videos plus three supplemental schedule videos. Printable workbook pages for all modules including transcripts of the module videos. Downloadable slides for each module. Editable forms for each module. Print and write on these or type on them and save them to reuse year after year. Never have to start from scratch again. Access to the entire Plan Your Year printable form library with annual updates for life. Private forum. Get answers to your questions and comments on your plan from our Autopilot community and mentors. White-glove mentoring. 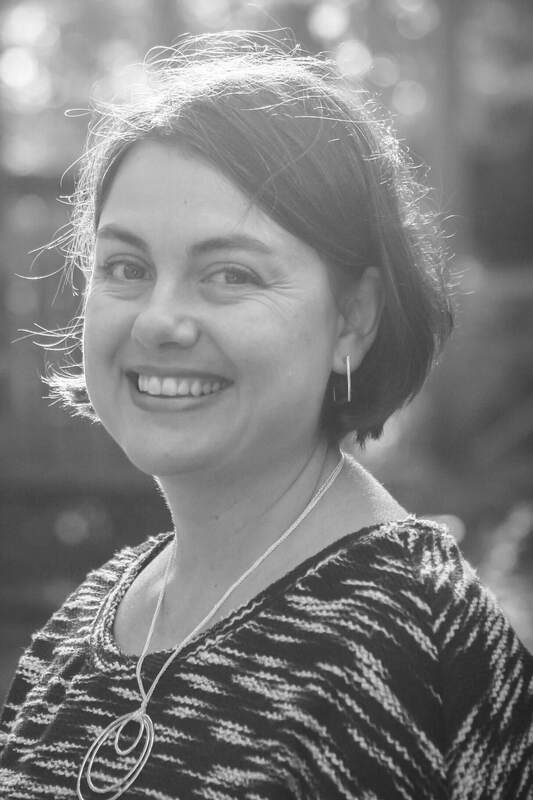 Every question will be answered by either Pam or one of our Autopilot-trained mentors all summer long. Two virtual work sessions with Pam where she will teach the course module content live with additional comments and commentary, plus answer your questions and give you assignments to complete. Stop procrastination and get your planning 80% done in two days. Ten course module videos plus three supplemental schedule videos. Your access to these never expires. This program has the power to change your life and the quality of your children’s education. I don’t say that lightly either. We’ve had the honor of helping over 3000 moms plan their homeschool and the results have been inspiring. If you’re not 100% satisfied for any reason simply email info@pambarnhill.com for a full refund. No hoops to jump through, no justification needed. You have nothing to lose, except a little chaos and frustration. What happens after I check out? You will be redirected to the Thank-You page where you can immediately access your course. You will also receive an email with a link to the course main page and a forum invitation link. You might want to bookmark those. If you have not received an email after 15 minutes, and it is not in your spam folder, email info@pambarnhill.com for assistance. Is this a digital or print product? The course is completely digital and nothing will be mailed to your home. You will have unlimited access to the course. 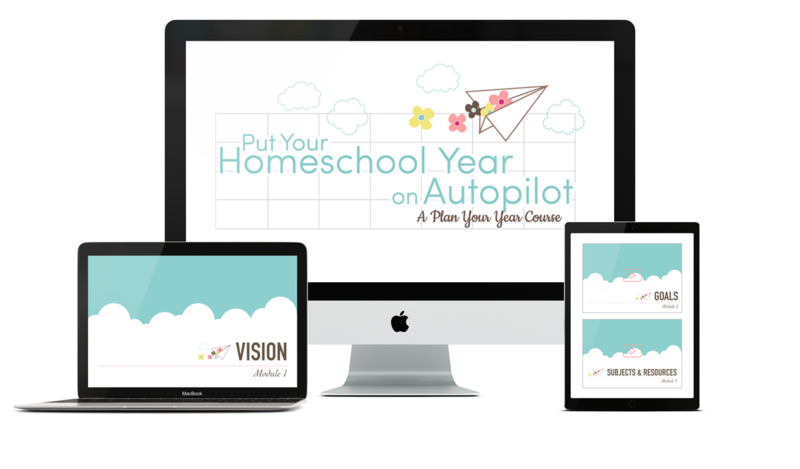 What method of homeschooling does the auto-pilot planning course work with? The Plan Your Year method of planning works with any homeschool method. The planning steps are not method-specific and the steps are vital to success with any kind of homeschooling. Do I need to buy updated forms each year? No! As a purchaser you have lifetime access to all forms. What do you mean by editable forms? The forms are all Adobe Acrobat files. You can print the forms and write on them by hand or you can type into the forms and print out your type-written copies. Typed copies can also be saved to your computer for future edits or saved into Evernote. Many parts of the form are editable, but if you have an idea for a change to a form or a version that would better suit your needs, you can reach out to me at pam@pambarnhill.com, and I will try to add that form to the product. Is the course written from a Christian viewpoint or contain Christian content? While I am Christian, there is no specifically Christian content in the planning course. What if I already own the Autopilot Course and just want to do the intensive workshops? We have set up a special upgrade for you to add the intensive workshop for this summer. If you have already done the intensive or only own Autopilot you can purchase just the live 2019 workshops by clicking here. Note: You must be logged into your account to see the special upgrade price. If you have another question that has not been answered here, email me at info@pambarnhill.com. I will be happy to help you out.